Don’t miss out on your favorite Thanksgiving dessert this year. 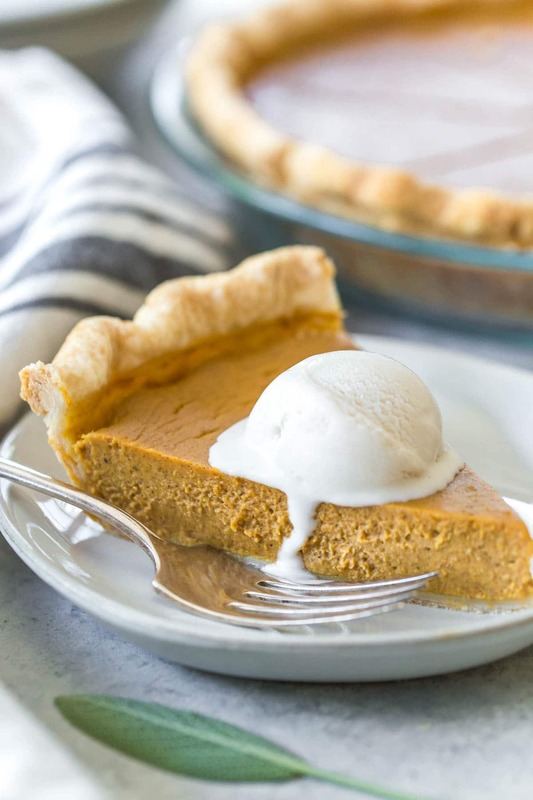 This is the best dairy free pumpkin pie recipe. It has a smooth and creamy consistency, with just the right amount of pumpkin spice. It tastes so much like traditional pumpkin pie that no one will know the difference. Makes 1 pie (8 servings). Believe it or not, Thanksgiving is just around the corner, and I’m already hard at work testing pies and casseroles and all sorts of pumpkin-related things. 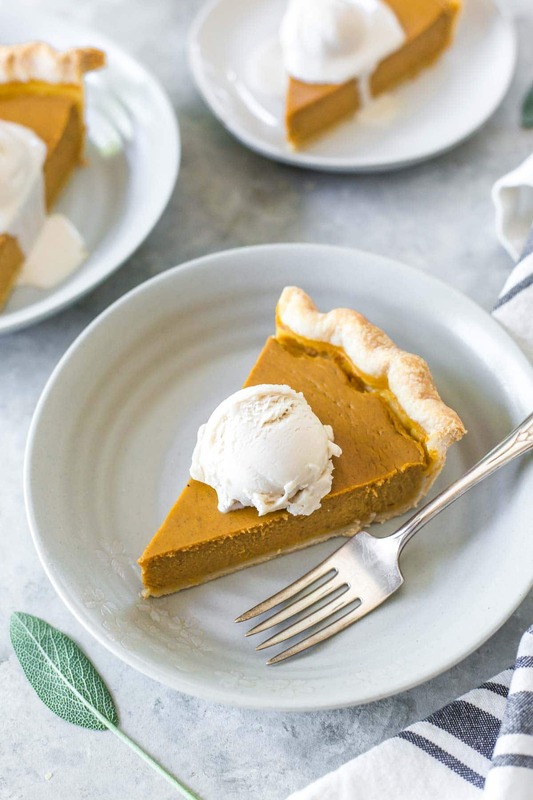 I wanted to make sure you were prepared for the holiday with the best dairy free Thanksgiving recipes because I don’t want you to miss out on your favorite dishes just because they have dairy in them. What is a dairy free substitute for evaporated milk? Pumpkin pie has been a tricky one for me. 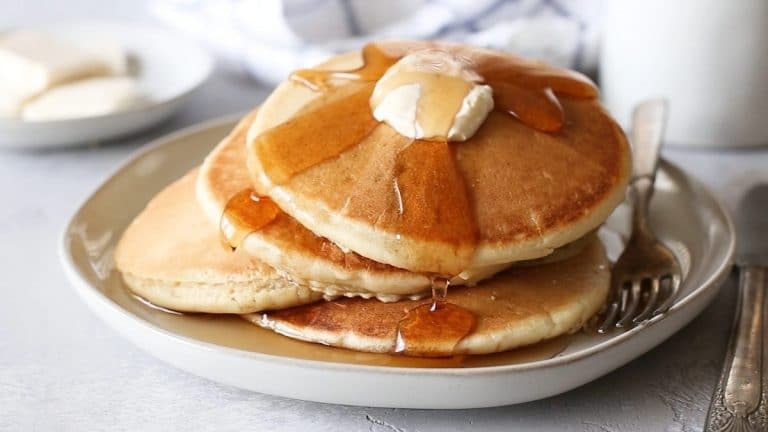 Traditional recipes call for evaporated or sweetened, condensed milk, which tend to be hard to substitute with making your own condensed almond milk. But, as you know, I like to keep things as simple as possible, and this was just not a step I was willing to add to my pumpkin pie recipe. I decided to use full-fat, canned coconut milk in place of evaporated milk. It’s a little thinner, than evaporated milk, but since the base is a custard, I knew it would set just fine in the oven. But, I did change the ratio of liquid-sugar-eggs just a little to make sure we didn’t end up with a soft, gooey mess when it came out of the oven. 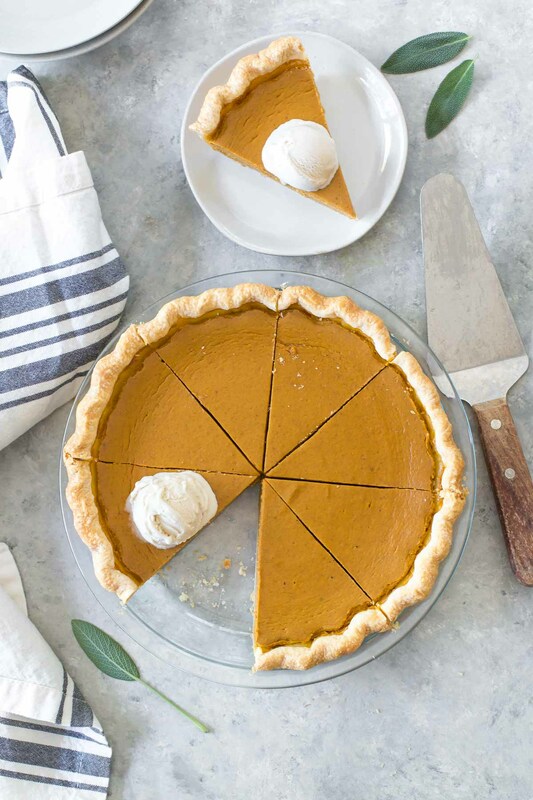 Do I need to pre-bake the crust for pumpkin pie? I should start by saying that I am a fan of store-bought crust. I don’t think it’s worth the energy to make your own, especially since dairy free cooking can be so complicated and time-consuming. If you have a favorite pie crust recipe, than definitely use it. To give myself a little more crust to work with for the edge, I always roll mine out just a little. You don’t need to blind bake your crust for this recipe, but it wouldn’t hurt. The process of blind baking just allows the crust to crisp up a little more, so you don’t end up with a soggy crust. If you have the time, I would recommend it because Thanksgiving pies tend to get made in advance, and the added moisture of covering and storing the fridge can further affect the crust. To blind bake your crust, preheat your oven to 375˚F. Place your crust into the pan and place a piece of parchment on top. Gently fill it with dried beans, rice or pie weights to keep the crust from bubbling up in the center. Bake for 20 minutes. Then, remove the parchment and pie weights and return your crust to the oven for about 10 – 15 minutes. The crust should be nice and golden when you remove it, but not brown. 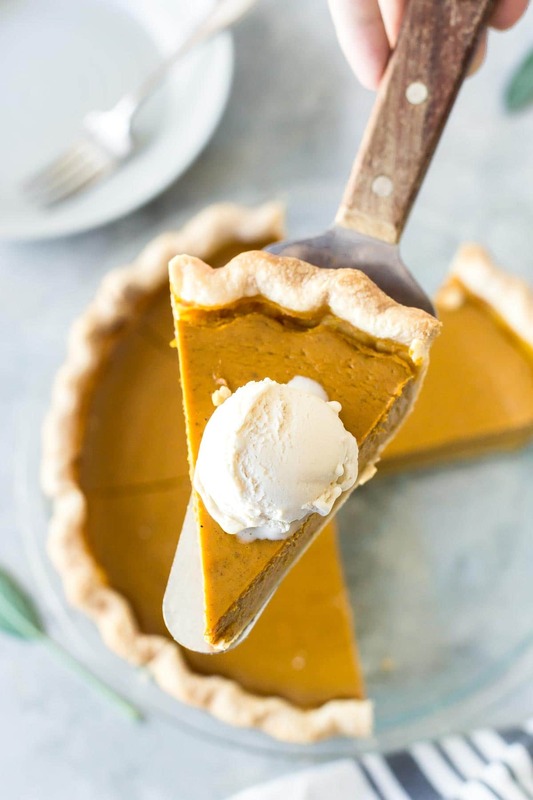 Let your crust full cool before adding your pumpkin pie filling and baking as the recipe instructs. Prepare your crust (see instructions above). Mix your filling together in a large mixing bowl using an electric mixer until smooth. I recommend using a hand mixer for this, but you can use a stand mixer or whisk by hand. Pour it into your prepared crust and pop it into the oven. Bake your pie for about 15 minutes at 425˚F, and then reduce the heat to 350˚F for the next 45 minutes. Remove from oven and let your pie cool completely. Cover and refrigerate until ready to serve. Choose the right coconut milk. I recommend using a full-fat, canned coconut milk that contains about 60% coconut. If your coconut milk contains too much water, you will end up with a soggy, mushy pie. If you have a pie crust shield, use it when baking your pie to prevent the crust from getting too brown. Check doneness by inserting a toothpick into the very center of the pie. If it comes out clean, it’s ready. 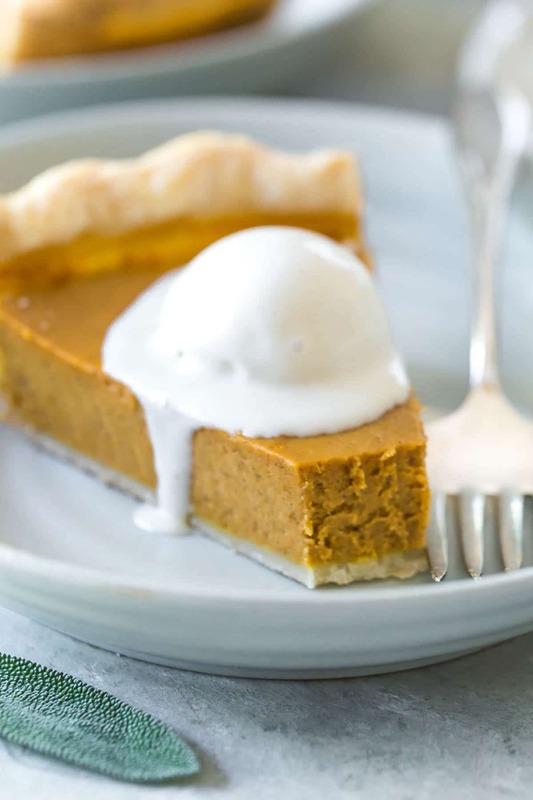 Serve your pie with dairy free whipped cream or your favorite dairy free vanilla ice cream. Preheat oven to 425˚F. Roll your crust to fit your pie plate and trim or flute edges. Blind bake with pie weights for 15 minutes. Remove and allow crust to cool completely before filling. In a large bowl, mix remaining ingredients with an electric mixer until smooth. Pour into cooled pie crust and bake for 15 minutes. Reduce heat to 350˚F and continue baking for 40 – 45 minutes, or until filling has set. Remove from oven and allow pie to cool completely. Cover and refrigerate until ready to serve. Hi! I’m going to try this for our family in a few days. Is unsweetened coconut milk what I should use? Thanks! Yes, but I you need to use the canned, full-fat kind, not the stuff you buy in the refrigerated section. Does the pie taste like a pumpkin pie or more coconut pumpkin? wanted to try almond milk but seems like it will be too off in ratio. I personally think it tastes like pumpkin pie, but we are probably a little more used to the taste of coconut, so if you aren’t normally dairy free, there might be a small hint of coconut for you. I wouldn’t try almond milk though because it won’t have the right fat-water content. Whenever I get canned coconut milk there is always a semi-solid part and then a part that is more liquidy. Should I use the solid part or mix it all up together? Thanks! You should try to mix it all together, but if you don’t, I would opt for the thicker semi-solid part. You definitely don’t want the liquidy part, which is actually coconut water that has separated from the coconut milk. Great recipe! Do you think I can use sweetened condensed coconut milk instead of regular canned coconut milk? Thank you so much! You definitely could, but your pie will be sweeter than if you used regular coconut milk. 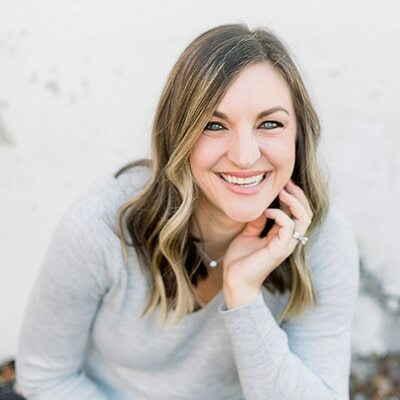 Melissa, thank you so much for this recipe! 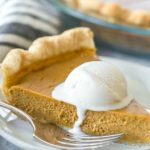 Since discovering my dairy allergy, I thought my pumpkin pie eating days were forever in my past – until now! 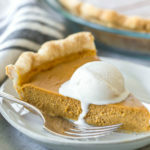 This is the best pumpkin pie I have ever had, dairy or no dairy. I made two in a matter of four days, and there are only two of us in the house. Then over the next six days we also made your dairy free green bean casserole and your dairy free hamburger stroganoff. So good, and again, even better than the originals with dairy! My husband and I thank you, thank you, thank you for all the effort you put into perfecting your recipes and sharing them with us. We will definitely be trying more!